The Taiwan branch of Samsung Electronics has just announced what is roughly translated as a "First Snow White" version of its popular Galaxy Note9. The new color is timed to welcome the winter season, and for the time being it's not only a Taiwan exclusive, but sale is limited to just a handful of stores in the country. Images (including hero) via Samsung Taiwan's Facebook. Precise details about the launch are difficult to determine, given the original press release was in Chinese (and the translated version has some pretty strange statements to make about flywheels), but we do know what it looks like. In images published to the Samsung Taiwan Facebook page, we can see that the back is a solid and bright white, as are the fingerprint sensor and sections of the raised camera assembly. Based on what little is visible of the edges, it appears to be complemented by a matte silver anodized aluminum frame. Currently, the "First Snow White" is set to be an exclusive for Taiwan, but it's possible (and we're hopeful) that it could come to more markets in the future. In the meantime, those in Taiwan looking to pick one up will be paying NT$30,900 for the 128GB model, which works out to a few cents below a round $1,000 USD. Taiwan's Samsung Electronics announced today that Galaxy Note 9 will launch a new color, "First Snow White", to welcome the first "First Snow" of this year for Taiwan. Galaxy Note9 crystal lens surface texture with fallen lines, new gorgeous snow white body and pen body, accurately show the best combination of technology and art, showing unique taste. According to the market channel survey data, the Galaxy Note 9 128GB brings excellent sales performance. It is equipped with a single-eye level smart camera, a remotely controlled S Pen, and an AKG professionally tuned stereo dual speaker. The powerful features have long been deeply imprinted in consumption. In my heart, since August, I have been ranked first in the Android flagship single-machine sales for three months, which is a must-have item for the New Year. The new color "First Snow White" was also on Christmas Eve, and it was unveiled in the lively Xinyi business district - Galaxy Studio. 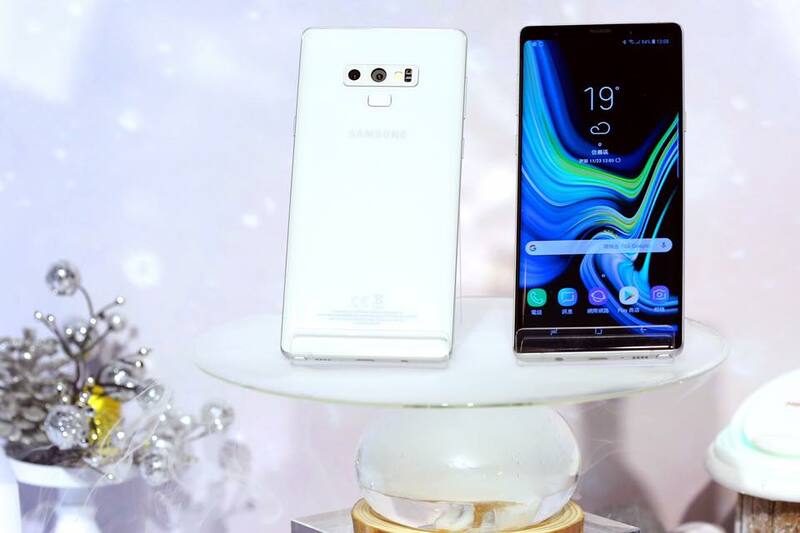 Galaxy Note9 "First Snow White" 128GB is expected to be exclusively sold at the Samsung Experience Hall, Samsung Smart Pavilion, Samsung Mall and Chunghwa Telecom at the beginning of December. The stand-alone price is NT$30,900. 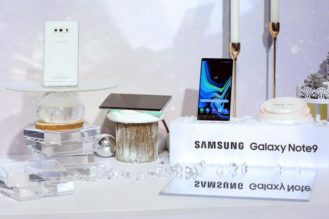 If you purchase Galaxy Note 9 " First Snow White" before December 31, you will receive a limited edition "Wireless Fast Charged Ambient Light" (recommended price NT$1,190) (Note 1) . The Galaxy Studio brand flash experience pavilion has been unveiled since October 20th, and Zhou Zhou has launched a fun and fun experience event (Note 2 ) . In just six weeks, it has attracted more than 50,000 people to experience first. As the finale of the "Galaxy Watch", the fitness coach will lead the group to step on the flywheel and follow the music. After the "riding" today, it will continue to rotate until November 25th, inviting all star powder to grasp. In the last two days, together, High turned the universe! Christmas with gratitude and joy is coming, and the popular cheerleader "Passion Sisters" is presented in a white and light sportswear Galaxy Note 9 "First Snow White" experience. The virtual dolls of Galaxy Note 9 are transformed into "Snow, Aisha", and the warm feelings are conveyed to the fans in the snowy scene, and the joy of Christmas is first shared. The intimate "Passion Sisters" is worried that fans will celebrate the hot meal during the New Year's Eve. They will also invite everyone to wear the Galaxy Watch. Through the automatic motion detection and instant health tracking, they can easily understand the physical condition and match the dynamics. The music jumped onto the star flywheel. Under the guidance of the professional coaches, the music was greeted with the enthusiasm of Christmas.